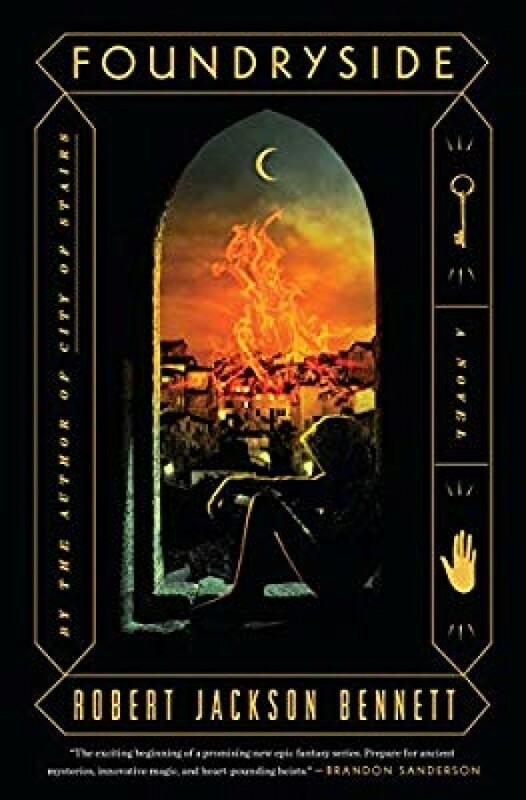 In a city that runs on industrialized magic, a secret war will be fought to overwrite reality itself--the first in a dazzling new series from City of Stairs author Robert Jackson Bennett. Sancia Grado is a thief, and a damn good one. And her latest target, a heavily guarded warehouse on Tevanne’s docks, is nothing her unique abilities can’t handle. But unbeknownst to her, Sancia’s been sent to steal an artifact of unimaginable power, an object that could revolutionize the magical technology known as scriving. The Merchant Houses who control this magic--the art of using coded commands to imbue everyday objects with sentience--have already used it to transform Tevanne into a vast, remorseless capitalist machine. But if they can unlock the artifact’s secrets, they will rewrite the world itself to suit their aims. Now someone in those Houses wants Sancia dead, and the artifact for themselves. And in the city of Tevanne, there’s nobody with the power to stop them. To have a chance at surviving—and at stopping the deadly transformation that’s under way—Sancia will have to marshal unlikely allies, learn to harness the artifact’s power for herself, and undergo her own transformation, one that will turn her into something she could never have imagined.